Though I technically started on Friday, this coming week will be my first real week at my new job. This new job may be very similar to my old job, but because it’s new and fresh to me, I’m feeling optimistic that I can climb out of the rut I was left in from my old job and start over anew! And to help me get started, I need motivation. Organization Motivation. Working from home is an awesome thing…but it also very easily can turn into a disorganized and chaotic thing. Especially when you live in a 650 sq. foot house. Have I ever mentioned that I live in a tiny house? j/k I know I mention it all the time, but seriously, lack of space is a serious issue at our house and I constantly have to work around it. 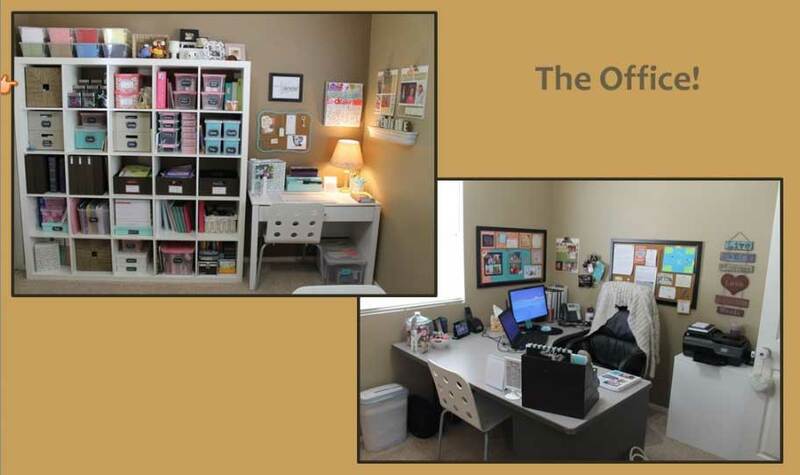 Several months ago, before I went out on maternity leave at my old job, one of the teacher trainers at my school, Janelle, did a presentation on Organization & Efficiency. It was awesome. Inspiring. Truly. I had just started this blog at the time and asked her for permission to share some of her tips and tricks on my blog. She said she’d be honored if I did. And so I meant to do up a whole proper blog post about them. And then life got in the way and I never did. No matter what space you have at your house, make a dedicated “work area”. If you occasionally have to do out-of-office work, make a “mobile” office that can travel with you. Have a dedicated work space and storage space. Keep all of your tools (including your phone) at your fingertips. Clean up at the end of every day. Find systems that work for you. If you have to occasionally do out-of-office work, keep a dedicated bag/rolling cart filled with those needed mobile office supplies. 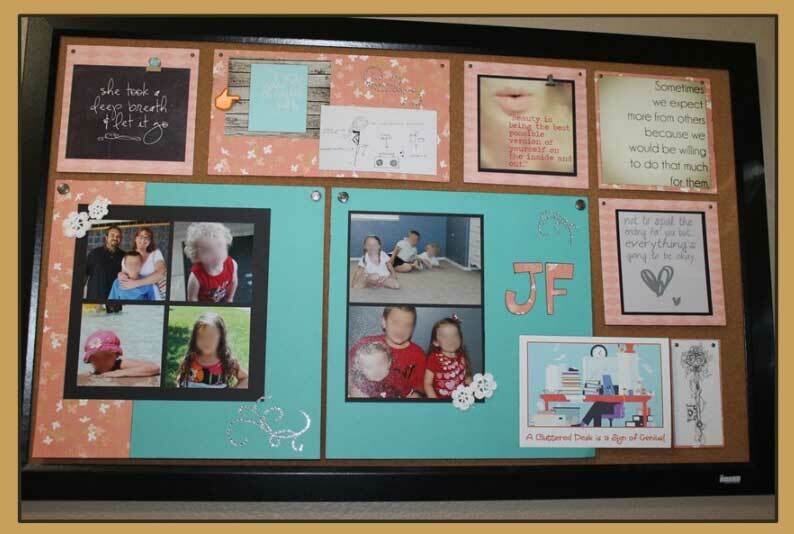 Create a family command center (or message center). Google or check pintrest.com for some amazing inspiration. 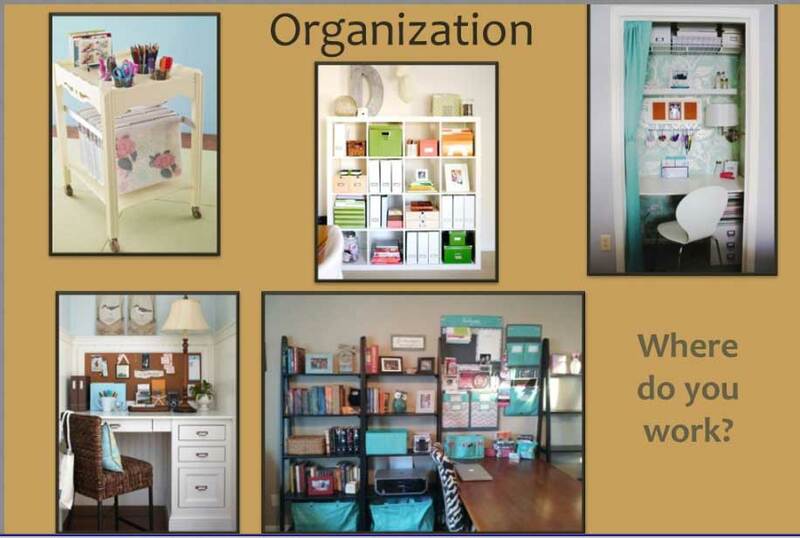 Where ever you keep your supplies, section them off by zones (one area for craft supplies, one for kiddos stuff, one for office supplies, and one for binders). Give yourself things to look at that make you happy. Surround yourself with things that make you happy and remind you of your family. Consider a mobile office that can be put away at the end of every day leaving you with space to be a family, and at the same time, giving you peace of mind that work is safely where it needs to be. 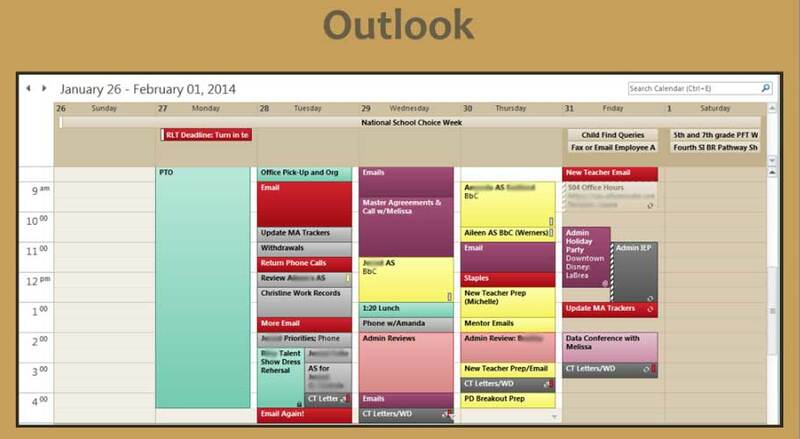 Leave downtime and be realistic! Before you start your day, do a 20 minute clean-up (don’t look at your dirty counters or dishes all day). Go for a walk mid-day. Schedule it in and set a reminder! The smaller desk is for Janelle’s kids to work while she’s working. 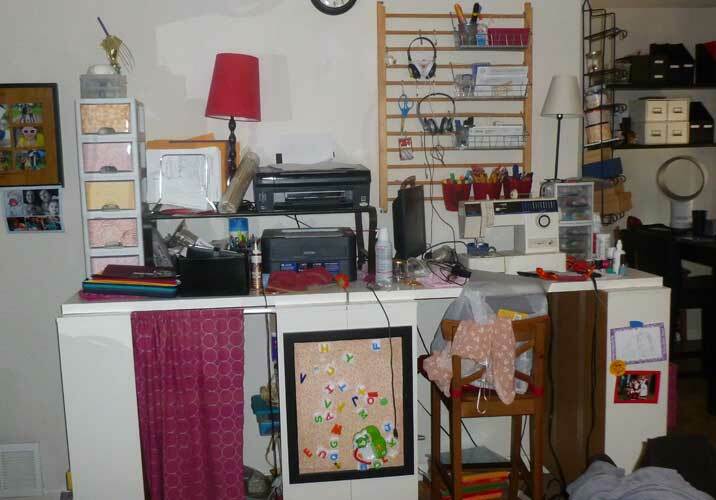 Several of the cubicles contain art supplies and other play items specifically for her kids. 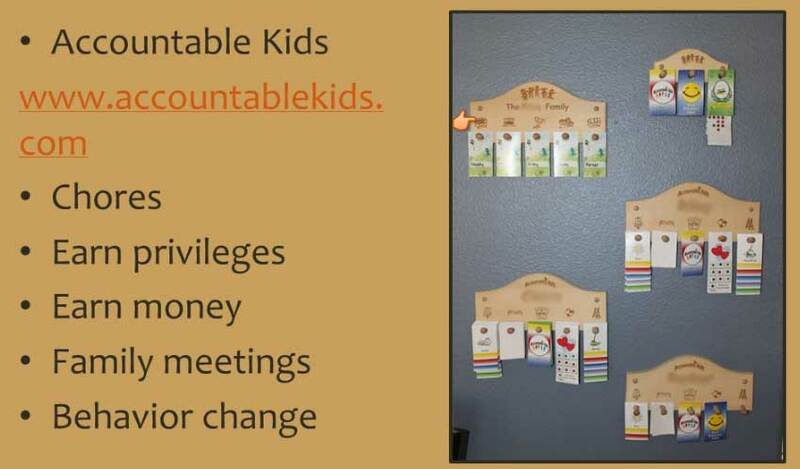 Keep kids craft items together and easily accessible (to you). Give your kiddos a place to display their art – give them a place to shine! Have designated space for your kiddos belongings (especially when you walk through the door) in order to cut down on the clutter. It sounds simple, but, start with what will be the greatest impact (start with what makes you the craziest)! Grab the resource “Getting Started.” Go through and answer the questions. So yeah, is Janelle awesome or what? I want to be her someday. 🙂 In the meantime, ahh, at the very least this gives me inspiration to get myself better organized. As Janelle says, I’m going to start with what makes me the craziest, which is my work/craft/sewing/junk table. Below is a before/current pic. I am committing to starting with this area and getting it better organized. I’ll post pics once finished!